Well its time for new Bolsters. Anyone have the SeaDek bolsters. How do you like them. Do they discolor or stain? If I get them I was going to go with white front with light grey background. The largest they sell is 75". My stern is 90" and my sides are 100". Price doesnt seem terrible at $700 but is there other options like it that are cheaper? SeaDek is great underfoot but I can't imagine it would do much on a bolster aside from provide grip. If you want something to lean into, look elsewhere. I've seen them used on for colming bolsters and it looked good. There is no way I would sacrifice the savings over the good ole comfort of traditional padded colming bolsters. I might add this is for a charter boat so taking abuse and still looking nice is at the top of my list. I had the same idea. My plan was to use Blacktip material material from Amazon and use two layers (10mm thick) Its about 1/2 the cost of Seadek. Can get it cut in basic shapes/round corners at a sign shop with a cnc router. Total cost this route was 70% less than Seadek fabricator wanted. I have them (sponsored by Seadek). They are a medium/hard evo foam aka rubber. They are not going to be as soft as vinyl and foam but I assume they would last longer. They won't really fade in my experience. Regards stains, if you clean them you should have no issue and certainly no issues with rips and seam threads. It's a tradeoff I think only you can decide. Might be a good idea to go check some out for yourself. Maybe a local boat show? MRWSeaHunter and pjsmithiii like this. 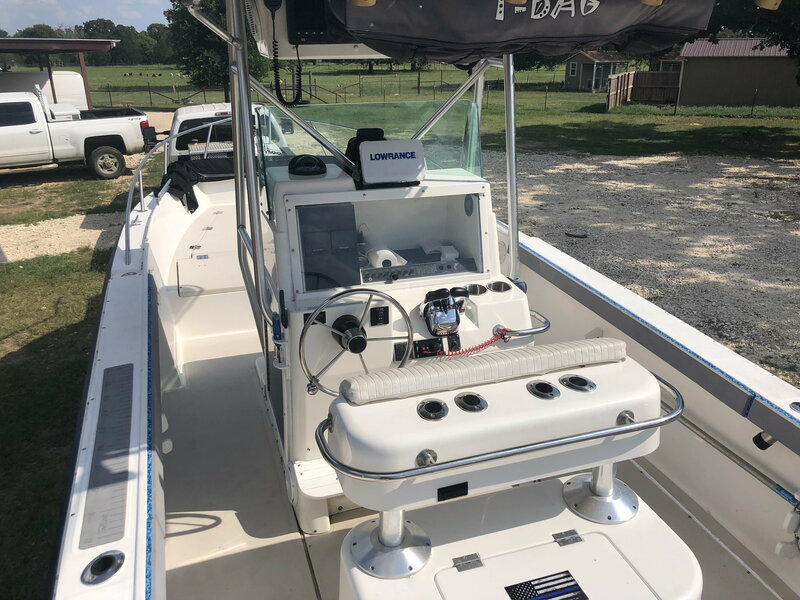 I had them on a previous boat, looked great, I did 2 tone dark color over off white, the off white was not easy to stay clean. They are pretty hard softer than not having any but not like regular bolsters. If you do go as thick as possible and darker over dark. I have them on my Robalo 2520. I had the vinyl half round bolsters that were had rotten backing. I didn't want to pay the ridiculous amount to have them rebuilt so I purchased the SeaDek bolsters in grey and blue camo. I love them. They were easy to put on and they are easy to clean. I had a long run so needed 4 pieces total. I was kind of worried about how the split would look, but I don't even notice it now. Please excuse the dirty floor in a couple of the pics..thats the leftover backing from the old bolsters I had just removed. What is the cost in comparison to recovering in vinyl? I was looking at them to replace my sun-beaten bolsters, but the only way to go for me was a custom-cut job and they were giving me a 3 month delivery date. The pre-fab ones were not going to fit right. Also, my former dock mate had them on his boat and they looked sun beaten and dingy.... I ended up having mine redone. It was actually cost beneficial because the backing was starboard and in great shape. It was just foam and vinyl. I know a guy in Waukegan that did all my curtains and bolsters on my Trojan. He did a great job and the price was right. Send me a PM and I'll pass along the info if you like. Do not do this. I did it and regret it. The sun WILL eat the Blacktip material over time. The UV causes the product to disintegrate, lighter color faster than dark. It will get on your clothes and skin and you will have to replace it in a few years. I had the double thick SeaDek and they sucked. Overpriced cheap looking crap. I actually enjoyed ripping them off and replacing them with OEM bolsters. So nice to have the real thing back on. I used white Seadek for my coaming bolsters about two years ago and been very happy. Easy to clean and cant be easily ripped or hooked. Will see if they last longer than the original bolsters but suspect they will. The Seadek doesn't give the same comfort that the original bolsters did but haven't found any issues with that. I have them on a 29 Ocean Runner and they have been flawless. I have them on my World Cat. I got them in Terra over Black and the thickest the do which is about 3/4". They will also do custom length and width if there standard sizes on the website do not work for you. I have them on a Wellcraft Coastal 2800 and like them, bit harder than conventional bolsters however looks good and easy to keep clean, light gray and about 3/4 thick. Don't spray them with your power washer, accidentally did this, took a chunk out. To me they seem pointless as they are not soft by any means. 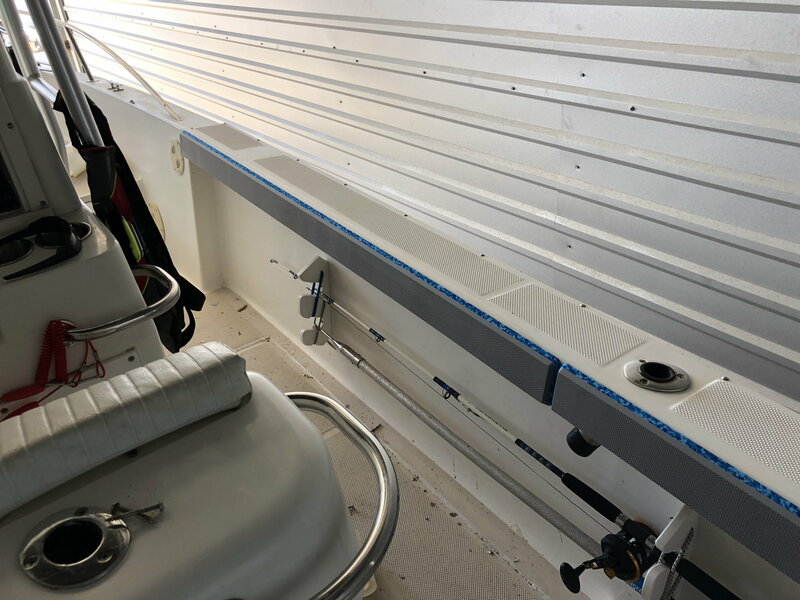 They make the boat look better but they do not perform the function of the coaming holsters, which is padding/cushioning. They are pretty damn hard IMO. Bolsters are really the simplest thing to re-do (if the backings are still good). Glue some padding down and stalle the vinyl to the backing, have done it before, its pretty simple. Now if you want to get fancy with it and add piping or a color scheme you may need to get a pro, but basic bolsters can be redone for little $ and little effort. Really, hardest part is uninstalling them and re-installing, but its basic nuts and bolts for the most part, jsut depends on your ability to access the thru bolts. Think the sun will degrade most anything over time. Used BT on Sea Doos, 4 years and no issues. I like Sea Dek, but fabricators are way over priced. I hear they have a black Friday sale on sheet material, may go that route. I have seadek on my boat, and a friend that has them on his charter boat. Both are holding up great. Easy to clean and durable. If you do screw one up it takes about 30 minutes to replace it and less money than vinyl. I will not go back to vinyl.